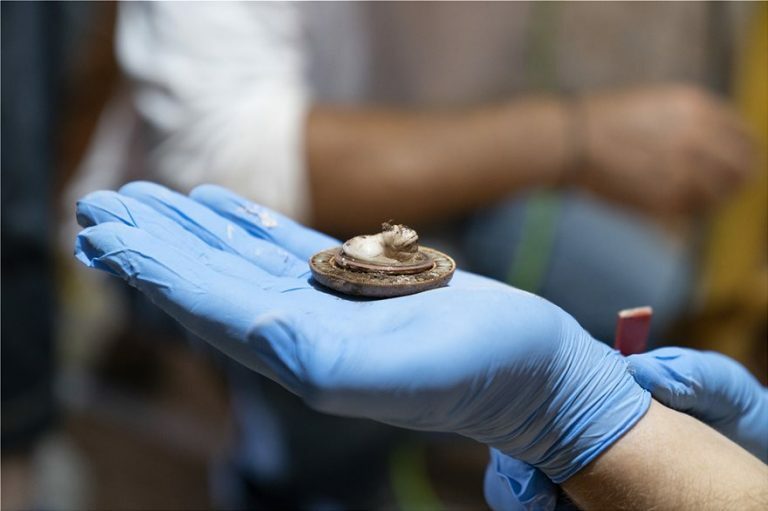 Archaeologists in Greece have made an exciting discovery at the Episkopi excavation site in the island of Sikinos. The find is an ancient unlooted tomb of a prominent woman adorned with great treasures and jewellery. 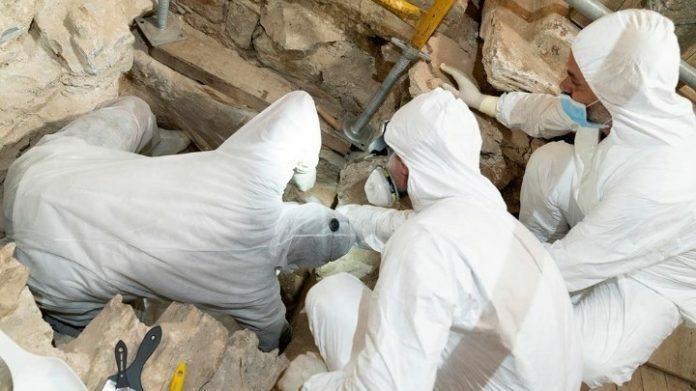 The find came to light during the restoration work of the Episkopi Monument that the Ministry of Culture and Sports has been carrying out since 2017 with the Cyclades Ephorate of Antiquities. The box-shaped grave was located in a concealed portion of the Episkopi site's underground, ostensibly in order to avoid tomb raiders. 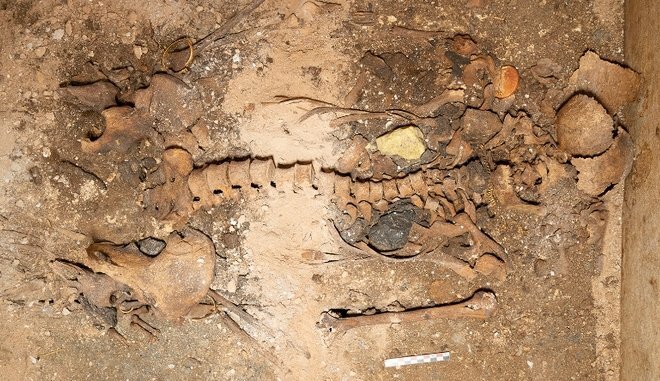 Several precious items of jewelry adorned the body entombed in the grave, denoting a prominent resident of the island, featuring gold rings, bracelets, necklaces, along with glass and metallic vases. 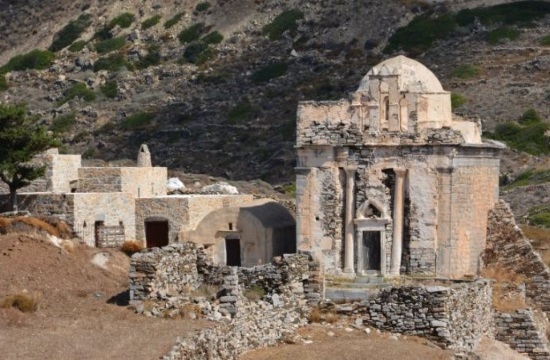 One assessment is that the building, dated to late antiquity and subsequently serving as a Christian church during the Byzantine era, was as an impressive mausoleum for the woman. An up-until-now funereal inscription discovered at the monument cites the name "NeikO" - spelled Νεικώ, in Greek. The monument itself resembles a temple, and due to its height is considered as unique in the Greek world. A settlement was constructed up around the monument in subsequent centuries, including a monastery and chapels.